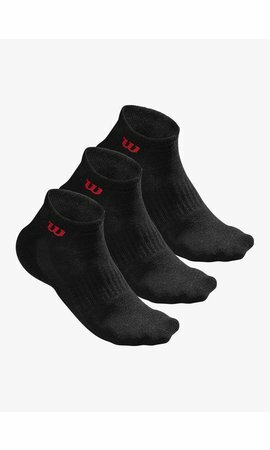 These Wilson Men Quarter Socks are packed per three pairs and offer your feet the support they need during a strenuous exercise such as squash and tennis. 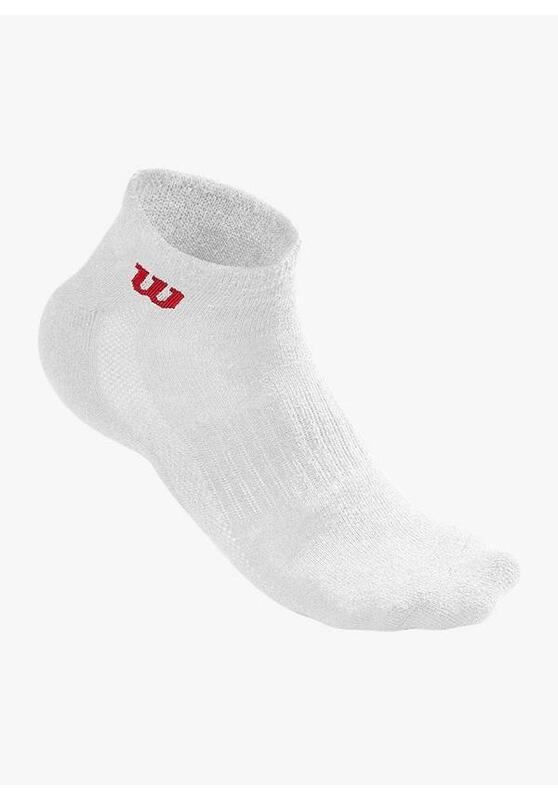 These sports socks are equipped with reinforced arches that give your feet extra support for the explosive movements that you make on the court. 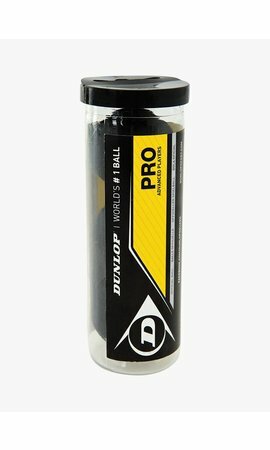 The thickened pads offer extra cushioning and comfort; this is something that every squash player will appreciate. 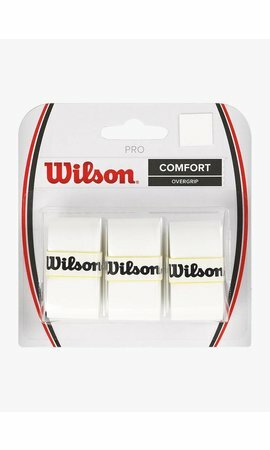 The Wilson Men Quarter Socks are equipped with special inserts of a mesh-like fabric that ensure good air circulation. Because the air flows through the fabric, your feet stay dry and cool and that reduces the risk of blisters. 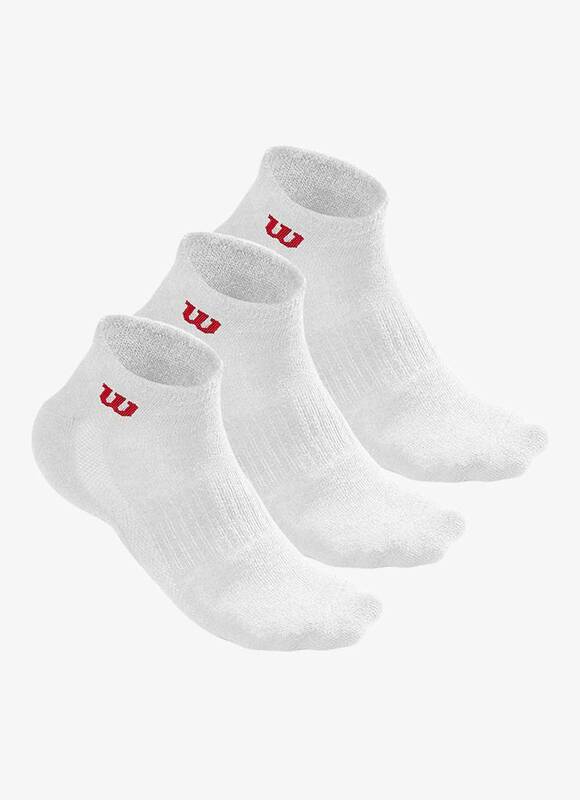 The Wilson Men Quarter Socks are very comfortable to wear because they are made mainly of cotton. The unique material composition also ensures that this squash sock is very robust and durable. The Wilson logo is woven on the leg in red colour. 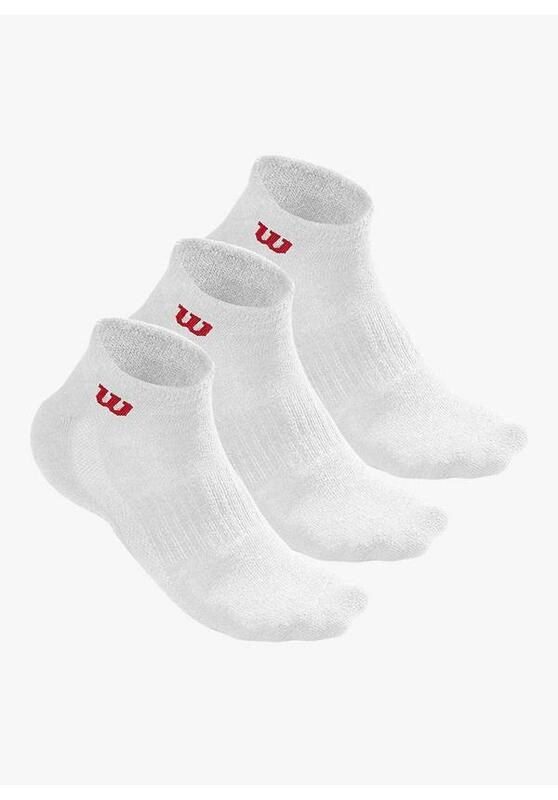 These Wilson Men Quarter Socks are available in black and white. 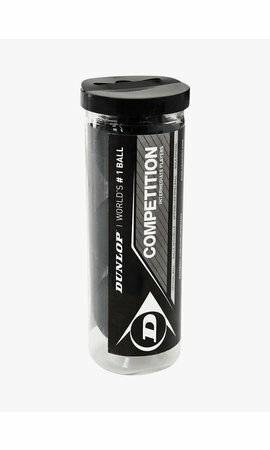 Ultimate wearing comfort and maximum shock absorption.